They complement 15 other bins that have been in operation for some time at Seaton Carew. The bins incorporate a solar-powered 12-volt battery which powers a compacting system that allows them to take up to eight times more waste than standard bins. They also have a hi-tech system that alerts council staff by text and email when they need emptying. 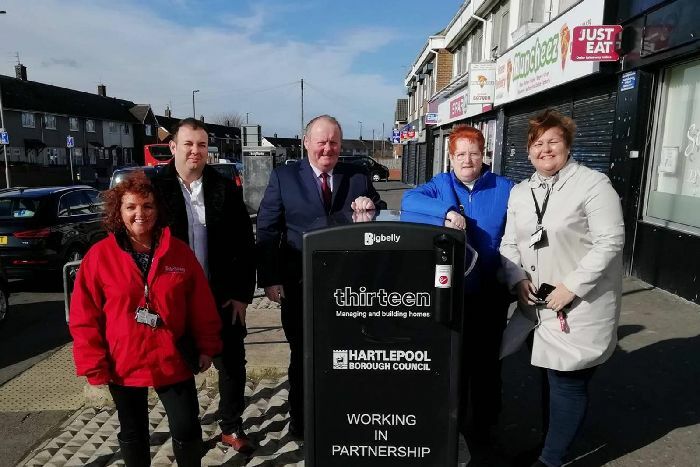 Councillor Allan Barclay, Councillor Marjorie James and Natalie Usai with one of the new bins.